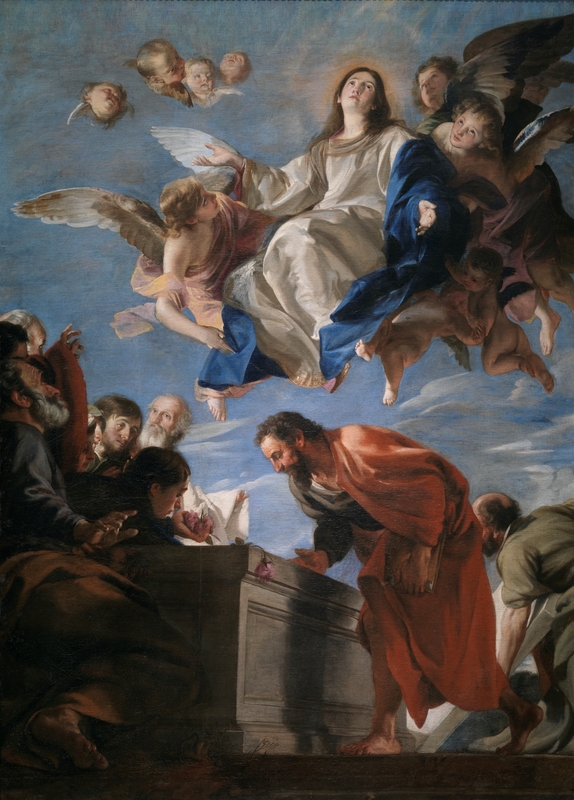 -Assumption of the Virgin, oil on canvas, Height: 237 cm (93.3 in); Width: 169 cm (66.5 in), by Juan Martín Cabezalero, 1660, Prado National Museum, Spain. Please click on the image for greater detail. “Thy blessed soul is naturally parted from thy blissful and undefiled body, and the body is delivered to the grave, yet it does not endure in death, nor is it the prey of corruption. The body of her, whose virginity remained unspotted in childbirth, was preserved in its incorruption and was taken to a better, diviner place, where death is not, but eternal life. …Therefore I will not call thy sacred transformation death, but rest or going home, and it is more truly a going home … thou dwellest in a happier state. We, too, approach thee today, O Queen; and again, I say, O Queen, O Virgin Mother of God, staying our souls with our trust in thee, as with a strong anchor. Lifting up mind, soul, and body, and all ourselves to thee, rejoicing in psalms and hymns and spiritual canticles, we reach through thee One who is beyond our reach on account of His Majesty. If, as the divine Word made flesh taught us, honor shown to servants is honor shown to our…Lord, how can honor shown to thee, His Mother, be slighted? How is it not most desirable?…those who think of Thee should recall the memory of Thy most precious gift as the cause of our lasting joy. How it fills us with gladness! How the mind that dwells on this holy treasury of Thy grace enriches itself. “While the height of all virtues, dearly-beloved, and the fullness of all righteousness is born of that love, wherewith God and one’s neighbor is loved, surely in none is this love found more conspicuous and brighter than in the blessed martyrs; who are as near to our Lord Jesus, Who died for all men, in the imitation of His love, as in the likeness of their suffering. For, although that Love, wherewith the Lord has redeemed us, cannot be equalled by any man’s kindness, because it is one thing that a man who is doomed to die one day should die for a righteous man, and another that One Who is free from the debt of sin should lay down His life for the wicked Romans 5:7-8: yet the martyrs also have done great service to all men, in that the Lord Who gave them boldness, has used it to show that the penalty of death and the pain of the cross need not be terrible to any of His followers, but might be imitated by many of them. If therefore no good man is good for himself alone, and no wise man’s wisdom befriends himself only, and the nature of true virtue is such that it leads many away from the dark error on which its light is shed, no model is more useful in teaching God’s people than that of the martyrs. Eloquence may make intercession easy, reasoning may effectually persuade; but yet examples are stronger than words, and there is more teaching in practice than in precept. 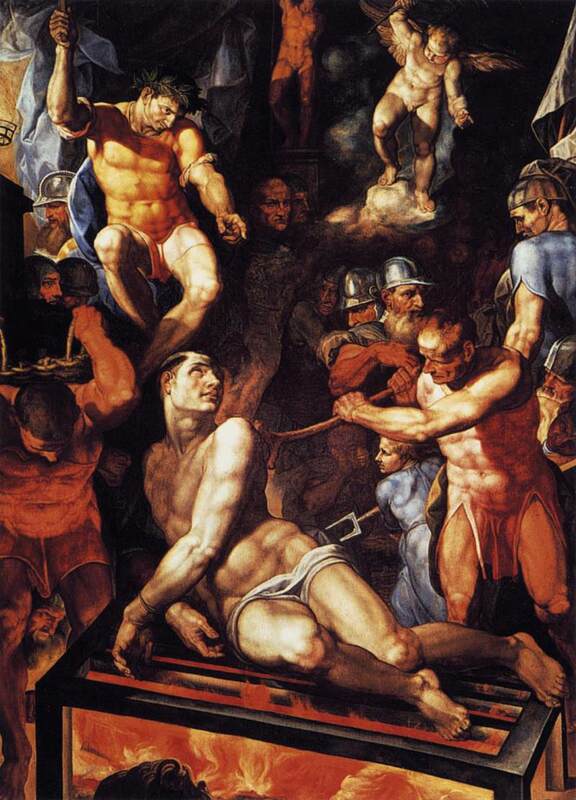 And how gloriously strong in this most excellent manner of doctrine the blessed martyr Laurentius is, by whose sufferings today is marked, even his persecutors were able to feel, when they found that his wondrous courage, born principally of love for Christ, not only did not yield itself, but also strengthened others by the example of his endurance. For when the fury of the gentile potentates was raging against Christ’s most chosen members, and attacked those especially who were of priestly rank, the wicked persecutor’s wrath was vented on Laurentius the deacon, who was pre-eminent not only in the performance of the sacred rites, but also in the management of the church’s property , promising himself double spoil from one man’s capture: for if he forced him to surrender the sacred treasures, he would also drive him out of the pale of true religion. And so this man, so greedy of money and such a foe to the truth, arms himself with double weapon: with avarice to plunder the gold; with impiety to carry off Christ. He demands of the guileless guardian of the sanctuary that the church wealth on which his greedy mind was set should be brought to him. But the holy deacon showed him where he had them stored, by pointing to the many troops of poor saints, in the feeding and clothing of whom he had a store of riches which he could not lose, and which were the more entirely safe that the money had been spent on so holy a cause. The baffled plunderer, therefore, frets, and blazing out into hatred of a religion, which had put riches to such a use, determines to pillage a still greater treasure by carrying off that sacred deposit , wherewith he was enriched, as he could find no solid hoard of money in his possession. He orders Laurentius to renounce Christ, and prepares to ply the deacon’s stout courage with frightful tortures: and, when the first elicit nothing, fiercer follow. His limbs, torn and mangled by many cutting blows, are commanded to be broiled upon the fire in an iron framework , which was of itself already hot enough to burn him, and on which his limbs were turned from time to time, to make the torment fiercer, and the death more lingering. You gain nothing, you prevail nothing, O savage cruelty. His mortal frame is released from your devices, and, when Laurentius departs to heaven, you are vanquished. The flame of Christ’s love could not be overcome by your flames, and the fire which burnt outside was less keen than that which blazed within. You but served the martyr in your rage, O persecutor: you but swelled the reward in adding to the pain. For what did your cunning devise, which did not redound to the conqueror’s glory, when even the instruments of torture were counted as part of the triumph? Let us rejoice, then, dearly-beloved, with spiritual joy, and make our boast over the happy end of this illustrious man in the Lord, Who is wonderful in His saints , in whom He has given us a support and an example, and has so spread abroad his glory throughout the world, that, from the rising of the sun to its going down, the brightness of his deacon’s light does shine, and Rome has become as famous in Laurentius as Jerusalem was ennobled by Stephen. By his prayer and intercession we trust at all times to be assisted; that, because all, as the Apostle says, who wish to live holily in Christ, suffer persecution 2 Timothy 3:12, we may be strengthened with the spirit of love, and be fortified to overcome all temptations by the perseverance of steadfast faith. Through our Lord Jesus Christ, etc. “I haven’t forgotten my promise. I had promised those of you who have just been baptized a sermon to explain the sacrament of the Lord’s table, which you can see right now, and which you shared in last night. You ought to know what you have received, what you are about to receive, what you ought to receive every day. 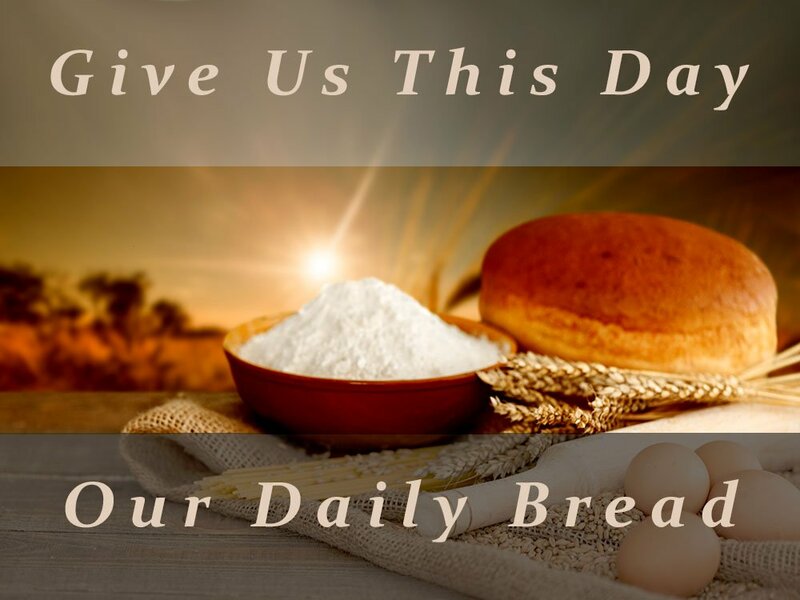 That bread which you can see on the altar, sanctified by the word of God, is the body of Christ. That cup, or rather what the cup contains, sanctified by the word of God, is the blood of Christ. It was by means of these things that the Lord Christ wished to present us with His body and blood, which He shed for our sake for the forgiveness of sins. If you receive them well, you are yourselves what you receive. You see, the apostle says, We, being many, are one loaf, one body. (1 Cor 10:17) That’s how he explained the sacrament of the Lord’s table; one loaf, one body, is what we all are, many though we be. In this loaf of bread, you are given clearly to understand how much you should love unity. I mean, was that loaf made from one grain? Weren’t there many grains of wheat? But before they came into the loaf they were all separate; they were joined together by means of water after a certain amount of pounding and crushing. Unless wheat is ground, after all, and moistened with water, it can’t possibly get into this shape, which is called bread. In the same way, you too were being ground and pounded, as it were, by the humiliation of fasting and the sacrament of exorcism. Then came baptism, and you were, in a manner of speaking, moistened with water in order to be shaped into bread. But it’s not yet bread without fire to bake it. So what does fire represent? 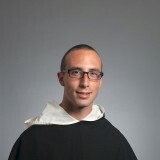 That’s the chrism, the anointing. Oil, the fire-feeder, you see, is the sacrament of the Holy Spirit. Notice it, when the Acts of the Apostles are read; the reading of that book begins now, you see. Today begins the book that is called the Acts of the Apostles. Anybody who wishes to make progress has the means of doing so. When you assemble in church, put aside silly stories and concentrate on the scriptures. We here are your books. So pay attention, and see how the Holy Spirit is going to come at Pentecost. And this is how He will come; He will show Himself in tongues of fire. You see, He breathes into us the charity, which should set us on fire for God, and have us think lightly of the world, and burn up our straw, and purge and refine our hearts like gold. So the Holy Spirit comes, fire after water, and you are baked into the bread, which is the body of Christ. And that’s how unity is signified. Now you have the sacraments in the order they occur. First, after the prayer, you are urged to lift up your hearts; that’s only right for the members of Christ. After all, if you have become members of Christ, where is your head? Members have a head. If the head hadn’t gone ahead before, the members would never follow. Where has our head gone? What did you give back in the creed? On the third day He rose again from the dead, He ascended into heaven, He is seated at the right hand of the Father. So our head is in heaven. That’s why, after the words Lift up your hearts, you reply, We have lifted them up to the Lord. And you mustn’t attribute it to your own powers, your own merits, your own efforts, this lifting up of your hearts to the Lord, because it’s God’s gift that you should have your heart up above. That’s why the bishop, or the presbyter who’s offering, goes on to say, when the people have answered We have lifted them up to the Lord, why he goes on to say, Let us give thanks to the Lord our God, because we have lifted up our hearts. Let us give thanks, because unless He had enabled us to lift them up, we would still have our hearts down here on earth. And you signify your agreement by saying, It is right and just to give thanks to the one who caused us to lift up our hearts to our head. Then, after the consecration of the sacrifice of God, because He wanted us to be ourselves His sacrifice, which is indicated by where that sacrifice was first put, that is the sign of the thing that we are; why, then after the consecration is accomplished, we say the Lord’s prayer, which you have received and given back. After that comes the greeting, Peace be with you, and Christians kiss one another with a holy kiss. It’s a sign of peace; what is indicated by the lips should happen in the conscience; that is, just as your lips approach the lips of your brothers or sisters, so your heart should not be withdrawn from theirs. What is receiving unworthily? Receiving with contempt, receiving with derision. Don’t let yourselves think that what you can see is of no account. What you can see passes away, but the invisible reality signified does not pass away, but remains. Look, it’s received, it’s eaten, it’s consumed. Is the body of Christ consumed, is the Church of Christ consumed, are the members of Christ consumed? Perish the thought! Here they are being purified, there they will be crowned with the victor’s laurels. So what is signified will remain eternally, although the thing that signifies it seems to pass away. So receive the sacrament in such a way that you think about yourselves, that you retain unity in your hearts, that you always fix your hearts up above. Don’t let your hope be placed on earth, but in heaven. Let your faith be firm in God, let it be acceptable to God. *Leo the Great, Sermon LXXI. Sermons in P. Schaff & H. Wace (Editors. ), C. L. Feltoe (Translator) Leo the Great, Gregory the Great (Vol. 12a, pp. 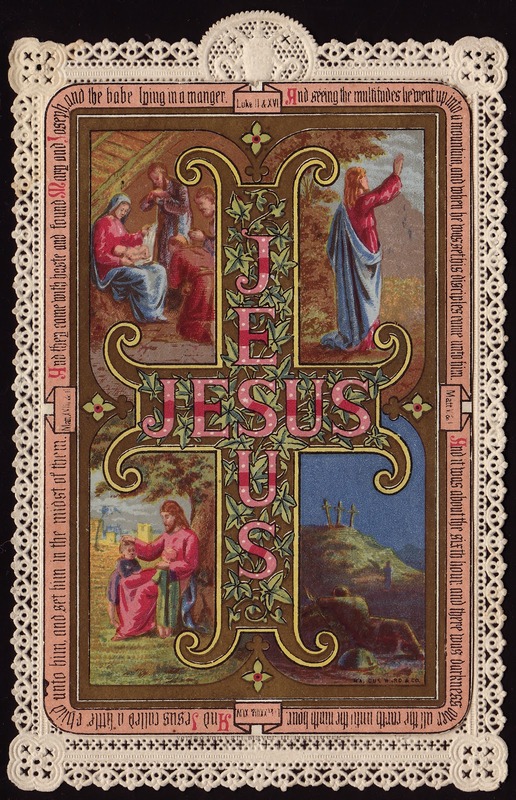 181–184), (New York: Christian Literature Company, 1895). **Ostensibly preached on Good Friday. “In my last sermon,** dearly-beloved, not inappropriately, as I think, we explained to you our participation in the cross of Christ, whereby the life of believers contains in itself the mystery of Easter, and thus what is honored at the feast is celebrated by our practice. And how useful this is you yourselves have proved, and by your devotion have learned, how greatly benefited souls and bodies are by longer fasts, more frequent prayers, and more liberal alms. For there can be hardly any one who has not profited by this exercise, and who has not stored up in the recesses of his conscience something over which he may rightly rejoice. But these advantages must be retained with persistent care, lest our efforts fall away into idleness, and the devil’s malice steal what GOD’S grace gave. Since, therefore, by our forty days’ observance we have wished to bring about this effect, that we should feel something of the Cross at the time of the LORD’S Passion, we must strive to be found partakers also of Christ’s Resurrection, and “pass from death unto life” [John 5:24], while we are in this body. For when a man is changed by some process from one thing into another, not to be what he was is to him an ending, and to be what he was not is a beginning. But the question is, to what a man either dies or lives: because there is a death, which is the cause of living, and there is a life, which is the cause of dying. And nowhere else but in this transitory world are both sought after, so that upon the character of our temporal actions depend the differences of the eternal retributions. We must die, therefore, to the devil and live to GOD: we must perish to iniquity that we may rise to righteousness. Let the old sink, that the new may rise; and since, as says the Truth, “no one can serve two masters” [Matthew 6:24], let not him be Lord who has caused the overthrow of those that stood, but Him Who has raised the fallen to victory. Accordingly, since the Apostle says, “the first man is of the earth earthy, the second man is from heaven heavenly. As is the earthy, such also are they that are earthy; and as is the heavenly, such also are they that are heavenly. As we have borne the image of the earthy, so let us also bear the image of Him Who is from heaven” [1 Corinthians 15:47-49], we must greatly rejoice over this change, whereby we are translated from earthly degradation to heavenly dignity through His unspeakable mercy, Who descended into our estate that He might promote us to His, by assuming not only the substance but also the conditions of sinful nature, and by allowing the impassibility of Godhead to be affected by all the miseries which are the lot of mortal manhood. And hence that the disturbed minds of the disciples might not be racked by prolonged grief, He with such wondrous speed shortened the three days’ delay which He had announced, that by joining the last part of the first and the first part of the third day to the whole of the second, He cut off a considerable portion of the period, and yet did not lessen the number of days. The Saviour’s Resurrection therefore did not long keep His soul in Hades, nor His flesh in the tomb; and so speedy was the quickening of His uncorrupted flesh that it bore a closer resemblance to slumber than to death, seeing that the Godhead, Which quitted not either part of the Human Nature which He had assumed, reunited by Its power that which Its power had separated. And then there followed many proofs, whereon the authority of the Faith to be preached through the whole world might be based. And although the rolling away of the stone, the empty tomb, the arrangement of the linen cloths, and the angels who narrated the whole deed by themselves fully built up the truth of the LORD’S Resurrection, yet did He often appear plainly to the eyes both of the women and of the Apostles, not only talking with them, but also remaining and eating with them, and allowing Himself to be handled by the eager and curious hands of those whom doubt assailed. For to this end He entered when the doors were closed upon the disciples, and gave them the Holy Spirit by breathing on them, and after giving them the light of understanding opened the secrets of the Holy Scriptures, and again Himself showed them the wound in the side, the prints of the nails, and all the marks of His most recent Passion, whereby it might be acknowledged that in Him the properties of the Divine and Human Nature remained undivided, and we might in such sort know that the Word was not what the flesh is, as to confess GOD’S only Son to be both Word and Flesh. The Apostle of the Gentiles, Paul, dearly-beloved, does not disagree with this belief, when he says, “even though we have known Christ after the flesh, yet now we know Him so no more” [2 Corinthians 5:16]. For the LORD’S Resurrection was not the ending, but the changing of the flesh, and His substance was not destroyed by His increase of power. The quality altered, but the nature did not cease to exist: the body was made impassible, which it had been possible to crucify: it was made incorruptible, though it had been possible to wound it. And properly is Christ’s flesh said not to be known in that state in which it had been known, because nothing remained passible in it, nothing weak, so that it was both the same in essence and not the same in glory. But what wonder if St. Paul maintains this about Christ’s body, when he says of all spiritual Christians, “wherefore henceforth we know no one after the flesh” [2 Corinthians 5:16]. 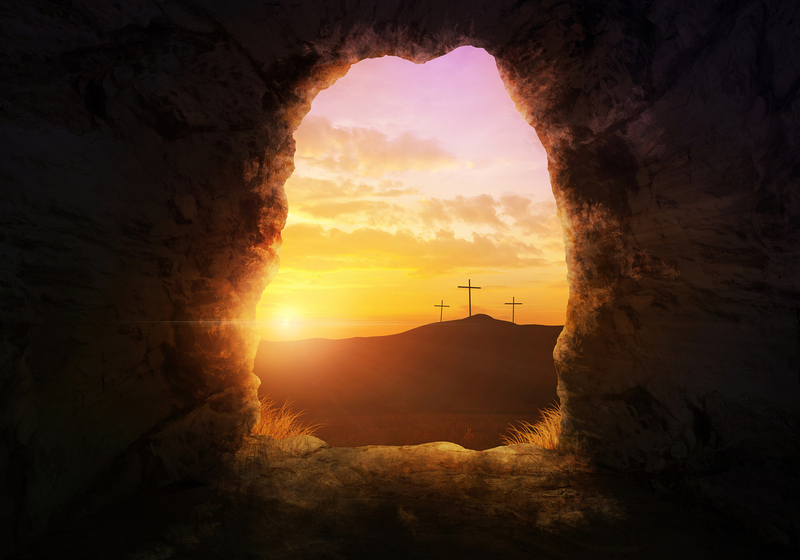 Henceforth, he says, we begin to experience the resurrection in Christ, since the time when in Him, Who died for all, all our hopes were guaranteed to us. We do not hesitate in diffidence, we are not under the suspense of uncertainty, but having received an earnest of the promise, we now with the eye of faith see the things which will be, and rejoicing in the uplifting of our nature, we already possess what we believe. Let us not then be taken up with the appearances of temporal matters, neither let our contemplations be diverted from heavenly to earthly things. Things which as yet have for the most part not come to pass must be reckoned as accomplished: and the mind intent on what is permanent must fix its desires there, where what is offered is eternal. For although “by hope we were saved” [cf Romans 8:24], and still bear about with us a flesh that is corruptible and mortal, yet we are rightly said not to be in the flesh, if the fleshly affections do not dominate us, and are justified in ceasing to be named after that, the will of which we do not follow. And so, when the Apostle says, “make not provision for the flesh in the lusts thereof” [cf Romans 13:14], we understand that those things are not forbidden us, which conduce to health and which human weakness demands, but because we may not satisfy all our desires nor indulge in all that the flesh lusts after, we recognize that we are warned to exercise such self-restraint as not to permit what is excessive nor refuse what is necessary to the flesh, which is placed under the mind’s control. And hence the same Apostle says in another place, “For no one ever hated his own flesh, but nourished and cherished it” [cf Ephesians 5:29]; in so far, of course, as it must be nourished and cherished not in vices and luxury, but with a view to its proper functions, so that nature may recover herself and maintain due order, the lower parts not prevailing wrongfully and debasingly over the higher, nor the higher yielding to the lower, lest if vices overpower the mind, slavery ensues where there should be supremacy. -from a commentary on the book of Joel by Saint Jerome, priest, Doctor of the Church (PL 25, 967-968) as found in the Liturgy of the Hours, Office of Readings, Second Reading, 21st Week in Ordinary Time. “”Return to me with all your heart [Joel 2:12] and show a spirit of repentance with fasting, weeping and mourning [Joel 2:12]; so that while you fast now, later you may be satisfied, while you weep now, later you may laugh, while you mourn now, you may some day enjoy consolation [cf Luke 6:21; Matthew 5:4]. It is customary for those in sorrow or adversity to tear their garments. The gospel records that the high priest did this to exaggerate the charge against our Lord and Savior; and we read that Paul and Barnabas did so when they heard words of blasphemy. I bid you not to tear your garments but rather to rend your hearts [Joel 2:13] which are laden with sin. Like wine skins, unless they have been cut open, they will burst of their own accord. After you have done this, return to the Lord your God, from whom you had been alienated by your sins. Do not despair of his mercy, no matter how great your sins, for great mercy will take away great sins [cf Luke 7:41-47]. For the Lord is gracious and merciful [Joel 2:13] and prefers the conversion of a sinner rather than his death. Patient and generous in his mercy, he does not give in to human impatience but is willing to wait a long time for our repentance. So extraordinary is the Lord’s mercy in the face of evil, that if we do penance for our sins, he regrets his own threat and does not carry out against us the sanctions he had threatened. So by the changing of our attitude, he himself is changed. But in this passage we should interpret “evil” to mean, not the opposite of virtue, but affliction, as we read in another place: Sufficient for the day are its own evils [cf Matthew 6:34]. And, again: If there is evil in the city, God did not create it. 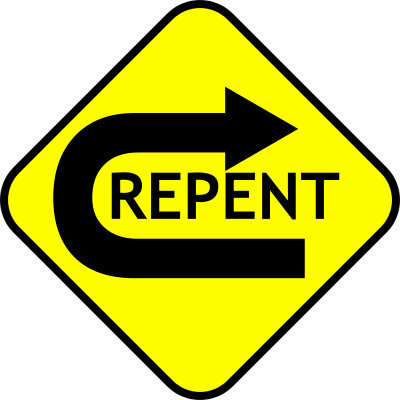 In like manner, given all that we have said above – that God is kind and merciful, patient, generous with his forgiveness, and extraordinary in his mercy toward evil – lest the magnitude of his clemency make us lax and negligent, he adds this word through his prophet: Who knows whether he will not turn and repent and leave behind him a blessing? [Joel 2:14]. In other words, he says: “I exhort you to repentance, because it is my duty, and I know that God is inexhaustibly merciful, as David says: Have mercy on me, God, according to your great mercy, and in the depths of your compassion, blot out all my iniquities [cf Psalm 51:1]. But since we cannot know the depth of the riches and of the wisdom and knowledge of God, I will temper my statement, expressing a wish rather than taking anything for granted, and I will say: Who knows whether he will not turn and repent? [cf Joel 2:14]. Since he says, Who, it must be understood that it is impossible or difficult to know for sure. St. Thomas thought that we could have a general knowledge of those things to desire and for which to ask by calling to mind the petitions of the Lord’s Prayer. After all, it is a good thing to desire the accomplishment of God’s will, or a worldly good to sustain one’s life (to be given one’s “daily bread”), or to be spared temptations. But the devil is found in the details, as it were. For instance, you may desire to further God’s Kingdom as a missionary in Africa, while his will is actually that you further it as a good father or mother in Altoona. 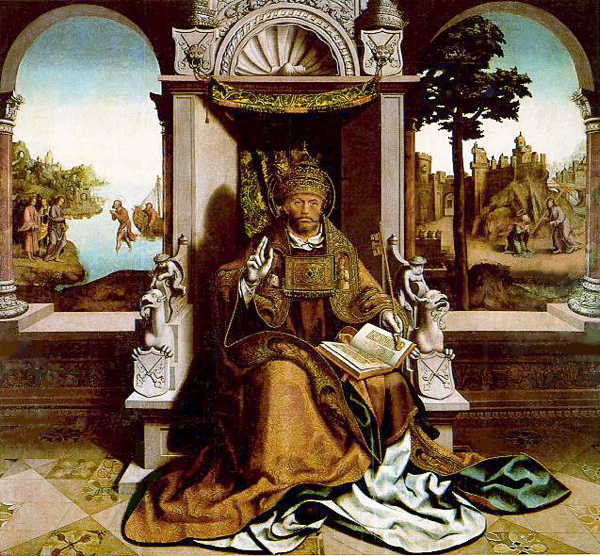 You may believe that a certain temporal good will allow you to be a better Christian, but, as St. Thomas is quick to warn, “many [have] perished on account of riches.” You may wish fervently to avoid some temptation, but perhaps God desires to use this temptation as a “thorn in the flesh” so that, like St. Paul, you may avoid prideful boasting in anything save the Cross of our Lord Jesus Christ (2 Cor. 12:7). 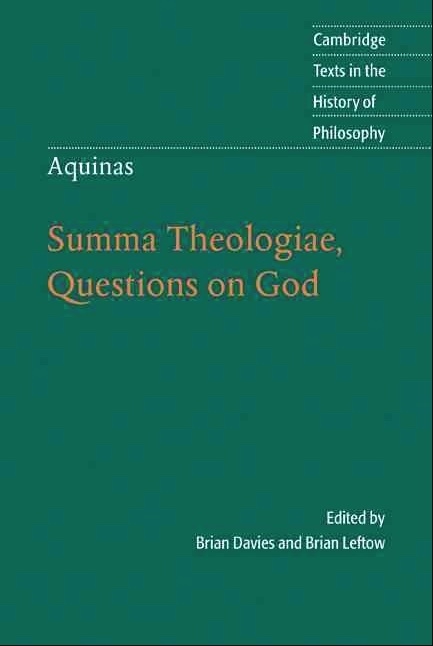 By ourselves, we do not know what we ought to desire in the concrete particularities of life, and so neither do we know for what we should ask God. This is what St. Thomas calls the weakness (infirmitas) of life. Each of us, due to the effects of original sin and our own personal sins and errors, can feel like a vessel on the sea amidst a dense, enveloping fog. We struggle to discern whether we are close to port or off our charted course. To the Romans, St. Paul gave this assurance: “the Spirit helps us in our weakness; for we do not know how to pray as we ought, but the Spirit himself intercedes for us” (Rom. 8:26). St. Thomas explains that the Holy Spirit cannot intercede for us as if he were an inferior, for he is true God. Rather, “the Holy Spirit makes us pray, insofar as he causes right desires in us.” Like the beacon of a lighthouse to a distressed ship, the Holy Spirit sends forth the charity of God into our hearts in order to dispel the darkness and enable us to see how to pray for what is truly needed here and now. The Lord’s Prayer teaches us all how to pray to our Heavenly Father in a general way. The Spirit, whom the Father and the Son send into the world as Advocate, desires to teach each of us how to desire and to ask for what is needed in our particular parishes, communities, families, and lives. If we are docile to the Spirit, his gift to us will be the conformity of our desires to the will of God, whereby they become acceptable and efficacious. Article 1. Whether the blessed in heaven will see the sufferings of the damned? Objection 1. 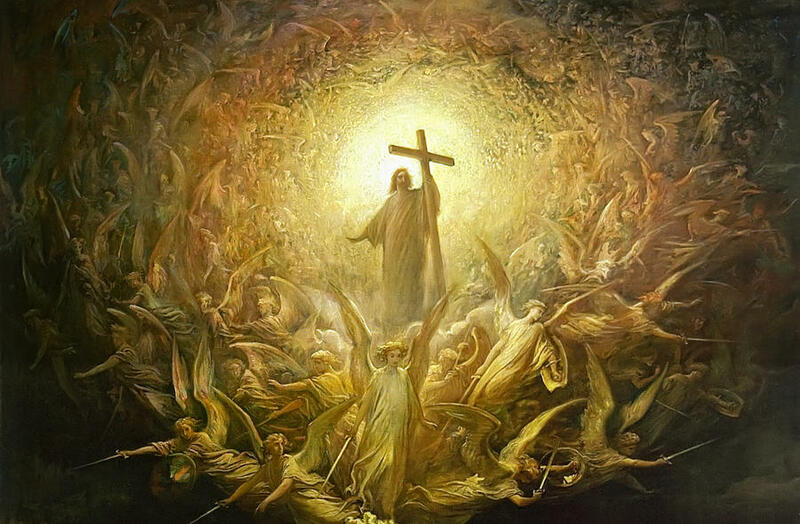 It would seem that the blessed in heaven will not see the sufferings of the damned. For the damned are more cut off from the blessed than wayfarers. 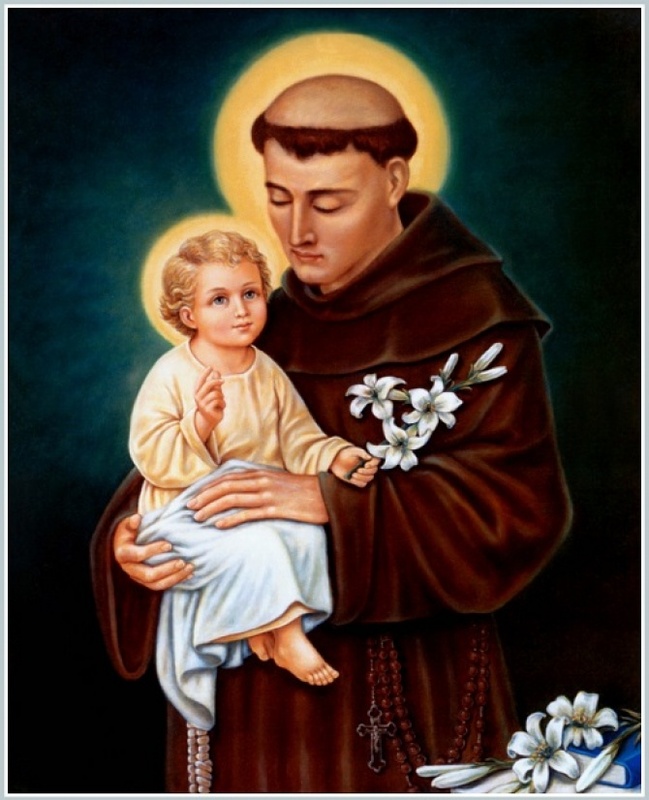 But the blessed do not see the deeds of wayfarers: wherefore a gloss on Isaiah 63:16, “Abraham hath not known us,” says: “The dead, even the saints, know not what the living, even their own children, are doing” [St. Augustine, De cura pro mortuis xiii, xv]. Much less therefore do they see the sufferings of the damned. Objection 2. Further, perfection of vision depends on the perfection of the visible object: wherefore the Philosopher says (Ethic. x, 4) that “the most perfect operation of the sense of sight is when the sense is most disposed with reference to the most beautiful of the objects which fall under the sight.” Therefore, on the other hand, any deformity in the visible object redounds to the imperfection of the sight. But there will be no imperfection in the blessed. Therefore they will not see the sufferings of the damned wherein there is extreme deformity. I answer that, Nothing should be denied the blessed that belongs to the perfection of their beatitude. Now everything is known the more for being compared with its contrary, because when contraries are placed beside one another they become more conspicuous. Wherefore in order that the happiness of the saints may be more delightful to them and that they may render more copious thanks to God for it, they are allowed to see perfectly the sufferings of the damned. Reply to Objection 1. 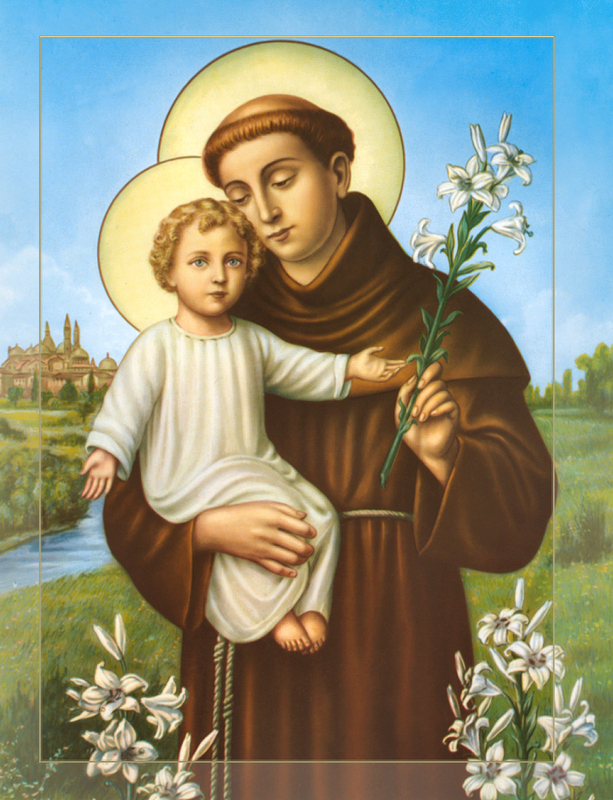 This gloss speaks of what the departed saints are able to do by nature: for it is not necessary that they should know by natural knowledge all that happens to the living. But the saints in heaven know distinctly all that happens both to wayfarers and to the damned. Hence Gregory says (Moral. xii) that Job’s words (14:21), “‘Whether his children come to honour or dishonour, he shall not understand,’ do not apply to the souls of the saints, because since they possess the glory of God within them, we cannot believe that external things are unknown to them.” [Concerning this Reply, Cf. I:89:8]. Reply to Objection 2. Although the beauty of the thing seen conduces to the perfection of vision, there may be deformity of the thing seen without imperfection of vision: because the images of things whereby the soul knows contraries are not themselves contrary. Wherefore also God Who has most perfect knowledge sees all things, beautiful and deformed. Article 2. Whether the blessed pity the unhappiness of the damned? Objection 1. It would seem that the blessed pity the unhappiness of the damned. For pity proceeds from charity [Cf. II-II:30]; and charity will be most perfect in the blessed. Therefore they will most especially pity the sufferings of the damned. Objection 2. Further, the blessed will never be so far from taking pity as God is. Yet in a sense God compassionates our afflictions, wherefore He is said to be merciful. On the contrary, Whoever pities another shares somewhat in his unhappiness. But the blessed cannot share in any unhappiness. Therefore they do not pity the afflictions of the damned. I answer that, Mercy or compassion may be in a person in two ways: first by way of passion, secondly by way of choice. In the blessed there will be no passion in the lower powers except as a result of the reason’s choice. Hence compassion or mercy will not be in them, except by the choice of reason. Now mercy or compassion comes of the reason’s choice when a person wishes another’s evil to be dispelled: wherefore in those things which, in accordance with reason, we do not wish to be dispelled, we have no such compassion. But so long as sinners are in this world they are in such a state that without prejudice to the Divine justice they can be taken away from a state of unhappiness and sin to a state of happiness. Consequently it is possible to have compassion on them both by the choice of the will—in which sense God, the angels and the blessed are said to pity them by desiring their salvation—and by passion, in which way they are pitied by the good men who are in the state of wayfarers. But in the future state it will be impossible for them to be taken away from their unhappiness: and consequently it will not be possible to pity their sufferings according to right reason. Therefore the blessed in glory will have no pity on the damned. Reply to Objection 1. Charity is the principle of pity when it is possible for us out of charity to wish the cessation of a person’s unhappiness. But the saints cannot desire this for the damned, since it would be contrary to Divine justice. Consequently the argument does not prove. Reply to Objection 2. God is said to be merciful, in so far as He succors those whom it is befitting to be released from their afflictions in accordance with the order of wisdom and justice: not as though He pitied the damned except perhaps in punishing them less than they deserve. Article 3. Whether the blessed rejoice in the punishment of the wicked? Objection 1. It would seem that the blessed do not rejoice in the punishment of the wicked. For rejoicing in another’s evil pertains to hatred. But there will be no hatred in the blessed. Therefore they will not rejoice in the unhappiness of the damned. Objection 2. Further, the blessed in heaven will be in the highest degree conformed to God. Now God does not rejoice in our afflictions. Therefore neither will the blessed rejoice in the afflictions of the damned. Objection 3. Further, that which is blameworthy in a wayfarer has no place whatever in a comprehensor. Now it is most reprehensible in a wayfarer to take pleasure in the pains of others, and most praiseworthy to grieve for them. Therefore the blessed nowise rejoice in the punishment of the damned. Further, it is written (Isaiah 56:24): “They shall satiate [Douay: ‘They shall be a loathsome sight to all flesh.’] the sight of all flesh.” Now satiety denotes refreshment of the mind. Therefore the blessed will rejoice in the punishment of the wicked. I answer that, A thing may be a matter of rejoicing in two ways. First directly, when one rejoices in a thing as such: and thus the saints will not rejoice in the punishment of the wicked. Secondly, indirectly, by reason namely of something annexed to it: and in this way the saints will rejoice in the punishment of the wicked, by considering therein the order of Divine justice and their own deliverance, which will fill them with joy. And thus the Divine justice and their own deliverance will be the direct cause of the joy of the blessed: while the punishment of the damned will cause it indirectly. Reply to Objection 1. To rejoice in another’s evil as such belongs to hatred, but not to rejoice in another’s evil by reason of something annexed to it. Thus a person sometimes rejoices in his own evil as when we rejoice in our own afflictions, as helping us to merit life: “My brethren, count it all joy when you shall fall into divers temptations” (James 1:2). Reply to Objection 2. Although God rejoices not in punishments as such, He rejoices in them as being ordered by His justice. Reply to Objection 3. It is not praiseworthy in a wayfarer to rejoice in another’s afflictions as such: yet it is praiseworthy if he rejoice in them as having something annexed. However it is not the same with a wayfarer as with a comprehensor, because in a wayfarer the passions often forestall the judgment of reason, and yet sometimes such passions are praiseworthy, as indicating the good disposition of the mind, as in the case of shame pity and repentance for evil: whereas in a comprehensor there can be no passion but such as follows the judgment of reason. “Wisdom is a kindly spirit, and easy of access to those who call upon Him. Quite often He anticipates their request and says: “Here I am.” Listen now to what, because of your prayers, He has revealed to me about the subject we postponed yesterday; be ready to gather the ripe fruit of your intercession. I put before you a name that is rightly compared to oil, how rightly I shall explain. You encounter many names for the Bridegroom scattered through the pages of Scripture, but all these I sum up for you in two. I think you will find none that does not express either the gift of His love or the power of His majesty. The Holy Spirit tells us this through the mouth of one of His friends: ‘Two things I have heard: it is for God to be strong, for you, Lord, to be merciful.” With reference to His majesty we read: “Holy and terrible is His name;” with reference to His love: “Of all the names in the world given to men, this is the only one by which we can be saved.” Further examples make it clearer still. Jeremiah says: ‘This is the name by which He will be called: ‘the Lord our righteous one’ ” – a name suggesting power; but when Isaiah says: “His name will be called Emmanuel,” he indicates His love. He himself said: ‘You call me Master and Lord.” The first title implies love, the second majesty. Love’s business is to educate the mind as well as to provide the body’s food. 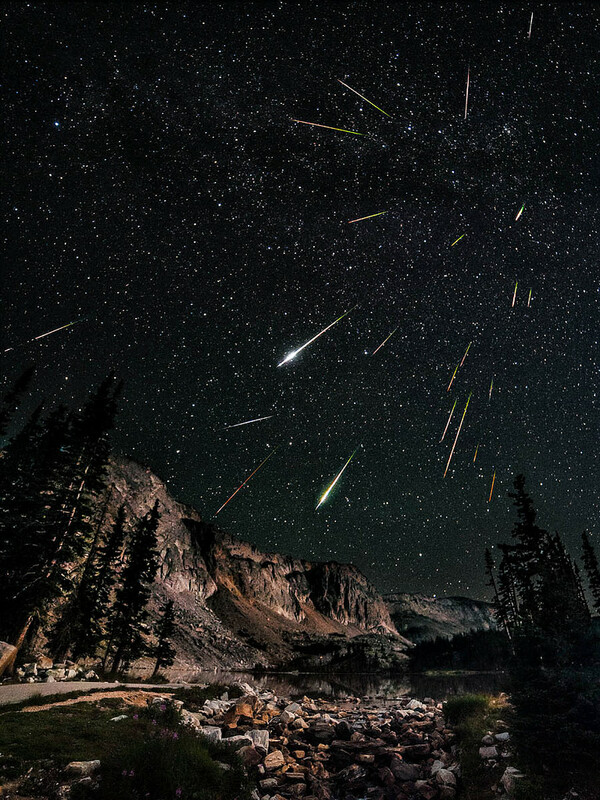 Isaiah also said: “His name shall be called Wonderful, Counselor, God, the Mighty One, Everlasting Father, Prince of Peace.” The first, third and fourth signify majesty, the others love. Whom of these therefore is poured out? In some mysterious way the name of majesty and power is transfused into that of love and mercy, an amalgam that is abundantly poured out in the person of our Savior Jesus Christ. The name “God” liquefies and dissolves into the title “God with us,” that is, into “Emmanuel.” He who is ‘Wonderful” becomes “Counselor”; “God” and “the Mighty One” become the “Everlasting Father” and the “Prince of Peace.” “The Lord our righteous one” becomes the “gracious and merciful Lord.” This process is not new: in ancient times “Abram” became Abraham and Sarai became “Sara”; and we are reminded that in these events the mystery of the incarnation of salvation was pre-figured and celebrated. So I ask where now is that warning cry: “I am the Lord, I am the Lord,” that resounded with recurring terror in the ears of the people of old. The prayer with which I am familiar, that begins with the sweet name of Father, gives me confidence of obtaining the petitions with which it continues. Servants are called friends in this new way, and the resurrection is proclaimed not to mere disciples but to brothers. Run then, O pagans, salvation is at hand, that name is poured out which saves all who invoke it. “The God of the angels calls Himself the God of men. He poured out oil on Jacob and it fell on Israel. Say to your brothers: “Give us some of your oil. If they refuse, ask the Lord of the oil to give it to you. Say to Him: ‘Take away our reproach.” See that no envious tongue insults your beloved, whom it has pleased you to call from the ends of the earth with a compassion all the greater for her unworthiness. Is it fitting, I ask, that a wicked servant should shut out the invited guests of the master of the house? You have said: “I am the God of Abraham, the God of Isaac and the God of Jacob.” Of no more than these? Pour out, continue to pour; open your hand still wider and satisfy the desire of everything that lives. I recognize new the name hinted at by Isaiah: “My servants are to be given a new name. Whoever is blessed on earth in that name will be blessed by the Lord, Amen.” O blessed name, oil poured out without limit! From heaven it pours down on Judea and from there over all the earth, so that round the whole world the Church proclaims: ‘Your name is oil poured out.” And what an outpouring! It not only bathes the heavens and the earth, it even bedews the underworld, so that all beings in the heavens, on earth and in the underworld should bend the knee in the name of Jesus, and that every tongue should acclaim: ‘Your name is oil poured out.” Take the name Christ, take the name Jesus; both were infused into the angels, both were poured out upon men, even upon men who rotted like animals in their own dung. Thus you became a savior both of men and beasts, so countless are your mercies, O God. Hew precious your name, and yet how cheap! Cheap, but the instrument of salvation. If it were not cheap it would not have been poured out for me; if it lacked saving power it would not have won me. Made a sharer in the name, I share too in its inheritance. For I am a Christian, Christ’s own brother. If I am what I say, I am the heir of God, co-heir with Christ. And what wonder if the name of the Bridegroom is poured out, since he himself is poured out? For he emptied himself to assume the condition of a slave. Did he not even say: “I am poured out like water”? The fullness of the divine life was poured out and lived on earth in bodily form, that all of us who live in this body doomed to death may receive from that fullness, and being filled with its life-giving odor say: ‘Your name is oil poured out.” Such is what is meant by the outpouring of the name, such its manner, such its extent. How shall we explain the world-wide light of faith, swift and flaming in its progress, except by the preaching of Jesus’ name? Is it not by the light of this name that God has called us into his wonderful light, that irradiates our darkness and empowers us to see the light? To such as we Paul says: ‘You were darkness once, but now you are light in the Lord.” This is the name that Paul was commanded to present before kings and pagans and the people of Israel; a name that illumined his native land as he carried it with him like a torch, preaching on all his journeys that the night is almost over, it will be daylight soon – let us give up all the things we prefer to do under cover of the dark; let us arm ourselves and appear in the light. Let us live decently as people do in the day-time. To every eye he was a lamp on its lamp-stand; to every place he brought the good news of Jesus, and him crucified. What a splendor radiated from that light, dazzling the eyes of the crowd, when Peter uttered the name that strengthened the feet and ankles of the cripple, and gave light to many eyes that were spiritually blind! Did not the words shoot like a flame when he said: “In the name of Jesus Christ of Nazareth, arise and walk”? But the name of Jesus is more than light, it is also food. Do you not feel increase of strength as often as you remember it? What other name can so enrich the man who meditates? What can equal its power to refresh the harassed senses, to buttress the virtues, to add vigor to good and upright habits, to foster chaste affections? The food of the mind is dry if it is not dipped in that oil; it is tasteless if not seasoned by that salt. Write what you will, I shall not relish it unless it tells of Jesus. Talk or argue about what you will, I shall not relish it if you exclude the name of Jesus. Jesus to me is honey in the mouth, music in the ear, a song in the heart. Again, it is a medicine. Does one of us feel sad? Let the name of Jesus come into his heart, from there let it spring to his mouth, so that shining like the dawn it may dispel all darkness and make a cloudless sky. Does someone fall into sin? Does his despair even urge him to suicide? Let him but invoke this life-giving name and his will to live will be at once renewed. The hardness of heart that is our common experience, the apathy bred of indolence, bitterness of mind, repugnance for the things of the spirit – have they ever failed to yield in presence of that saving name? The tears damned up by the barrier of our pride – how have they not burst forth again with sweeter abundance at the thought of Jesus’ name? And where is the man, who, terrified and trembling before impending peril, has not been suddenly filled with courage and rid of fear by calling on the strength of that name? Wnere is the man who, tossed on the rolling seas of doubt, dti not quickly find certitude by recourse to the clarity of Jesus’ name? Was ever a man so discouraged, so beaten down by afflictions, to whom the sound of this name did not bring new resolve? In short, for all the ills and disorders to which flesh is heir, this name is medicine, fair proof we have no less than his own promise: “Call upon me in the day of trouble; I will deliver you, and you shall glorify me.” Nothing so curbs the onset of anger, so allays the upsurge of pride. It cures the wound of envy, controls unbridled extravagance and quenches the flame of lust; it cools the thirst of covetousness and banishes the itch of unclean desire. For when I name Jesus I set before me a man who is meek and humble of heart, kind, prudent, chaste, merciful, flawlessly upright and holy in the eyes of all; and this same man is the all-powerful God whose way of life heals me, whose support is my strength. All these re-echo for me at the hearing of Jesus’ name. Because he is man I strive to imitate him; because of his divine power I lean upon him. The examples of his human life I gather like medicinal herbs; with the aid of his power I blend them, and the result is a compound like no pharmacist can produce. Hidden as in a vase, in this name of Jesus, you, my soul, possess a salutary remedy against which no spiritual illness will be proof. Carry it always close to your heart, always in your hand, and so ensure that all your affections, all your actions, are directed to Jesus. You are even invited to do this: “Set me as a seal,” he says, “upon your heart, as a seal upon your arm.” Here is a theme we shall treat of again. For the moment you have this ready medicine for heart and hand. The name of Jesus furnishes the power to correct your evil actions; to supply what is wanting to imperfect ones; in this name your affections find a guard against corruption, or if corrupted, a power that will make them whole again. Judea too has had her Jesus – Messiahs in whose empty names she glories: fair they give neither light nor food nor medicine. Hence the Synagogue is in the darkness still, enduring the pangs of hunger and disease, and she will neither be healed nor have her fill until she discovers that my Jesus rules over Jacob to the ends of the earth, until she comes back in the evening, hungering like a dog and prowling about the city. True, they were sent on in advance, like the staff preceding the Prophet to where the child lay dead, but they could not see a meaning in their own names because no meaning was there. The staff was laid upon the corpse but produced neither voice nor movement since it was a mere staff. Then he who sent the staff came down and quickly saved his people from their sins, proving that men spoke truly of him when they said: ‘Who is this man that he even forgives sins?” He is no other than the one who says: “I am the salvation of my people.” Now the Word is heard, now it is experienced, and it is clear that, unlike the others, he bears no empty name. As men feel the infusion of spiritual health they refuse to conceal their good fortune. The inward experience finds outward expression. Stricken with remorse I speak out his praise, and praise is a sign of life: “For from the dead, as from one who does not exist, praise has ceased.” But see! I am conscious, I am alive! I am perfectly restored, my resurrection is complete.